The official, Guidance Software-approved book on the newest EnCE exam! 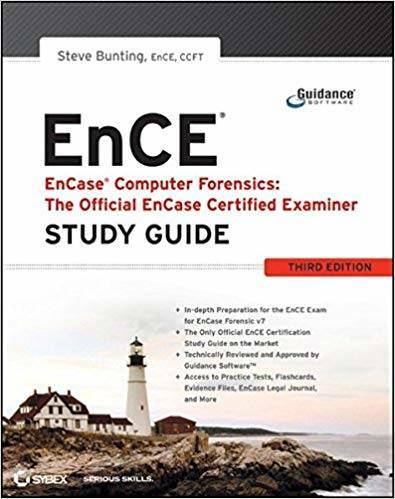 The EnCE exam tests that computer forensic analysts and examiners have thoroughly mastered computer investigation methodologies, as well as the use of Guidance Software’s EnCase Forensic 7. The only official Guidance-endorsed study guide on the topic, this book prepares you for the exam with extensive coverage of all exam topics, real-world scenarios, hands-on exercises,up-to-date legal information, and sample evidence files,flashcards, and more.